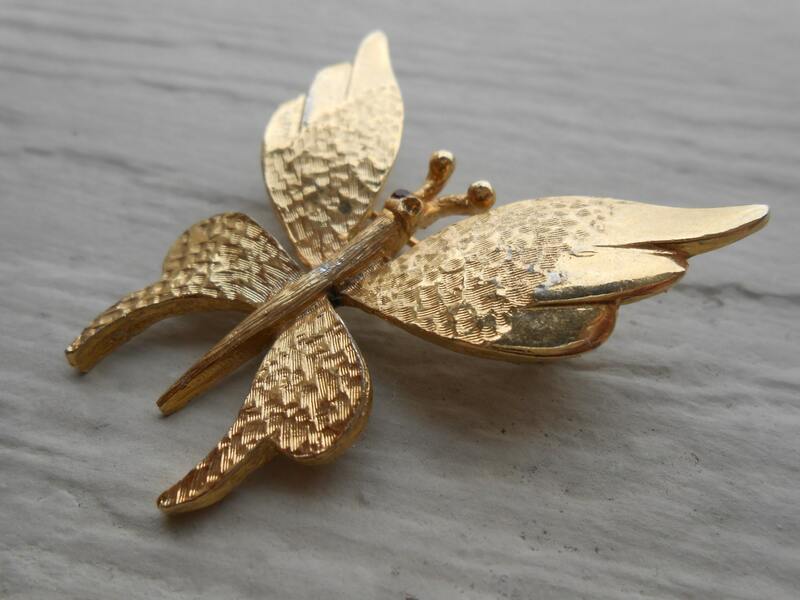 This delicate, vintage brooch is very sweet. 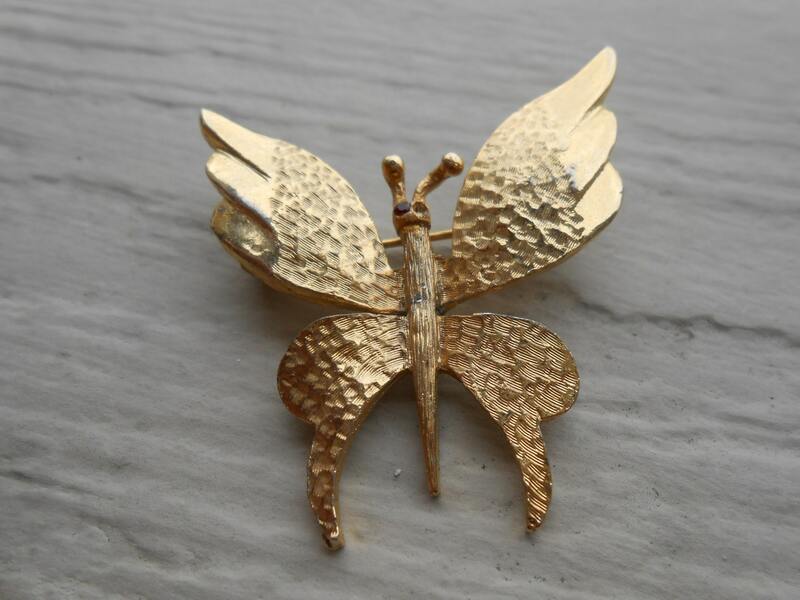 It has a wonderful flying butterfly. Unfortunately one of the two red eye pieces fell out. This would be a great gift for any time of year! 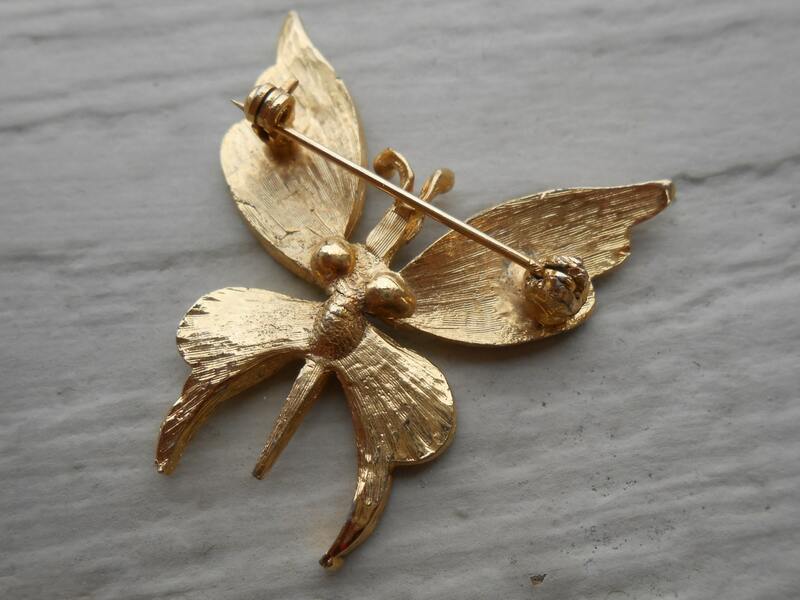 This listing is for one brooch, measuring 1 1/2". The back has a pin, with a little sliding-lock mechanism. It's pretty cool! 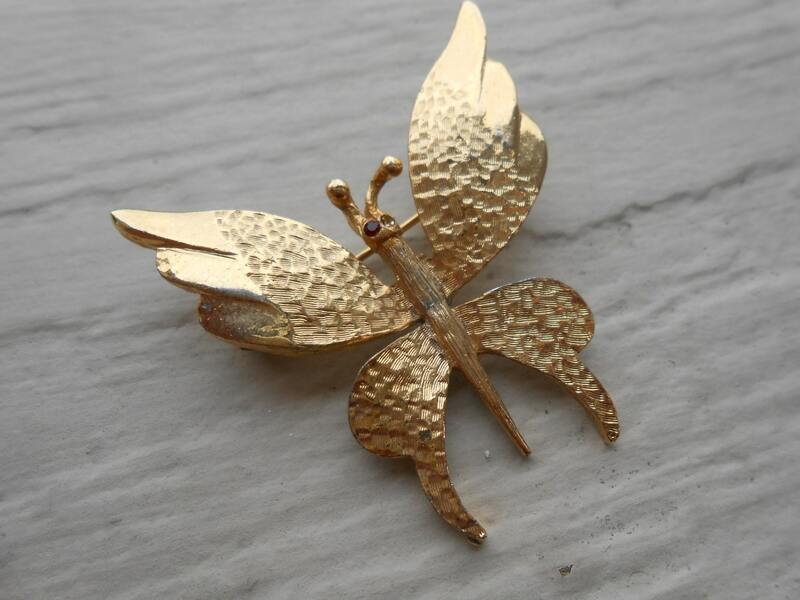 See my store for more vintage jewelry, cufflinks, and paper flowers!